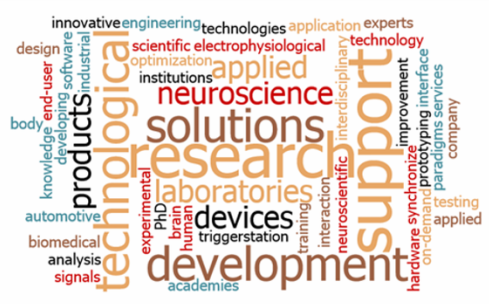 BrainTrends is a unique SME that combines expertise in the domain of applied neuroscience with technological expertise thus being the perfect interface between the scientific and technological/industrial cores. in the field of automotive, design, human-products interaction and biomedical technologies. Our activity exploits the latest discoveries in the field of neuroscience to develop, test and engineer new technological solutions specifically designed to satisfy the industrial and market demands.